The complete process solution that maximises your gold recovery from gravity concentrates. 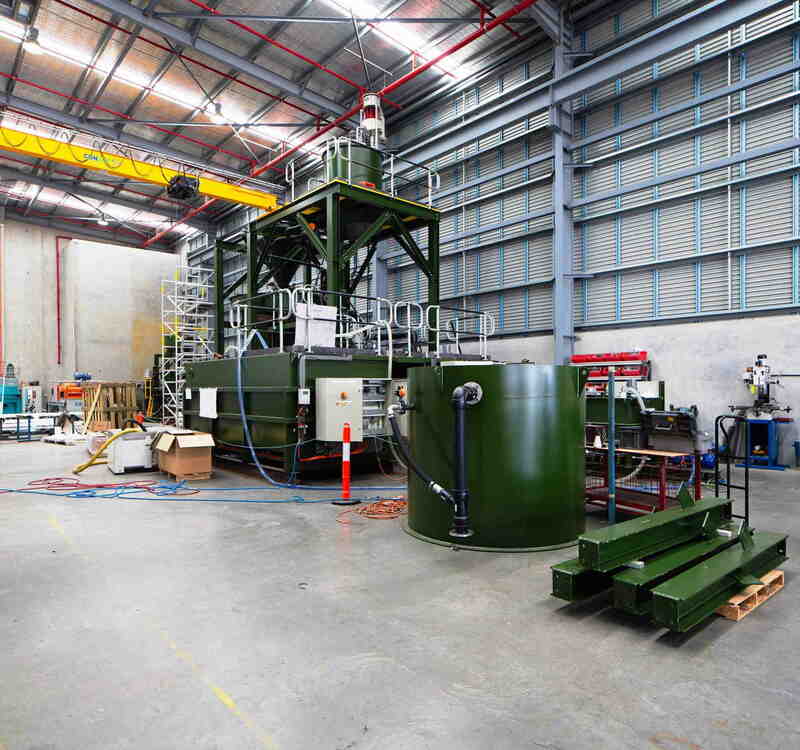 The Consep Acacia is a complete process solution to maximise recovery of gold from gravity concentrates such as those generated from a Knelson Concentrator. The Consep Acacia typically achieves overall recoveries in excess of 95%, often over 98%. Most importantly the Consep Acacia maintains an unblemished installation success rate. The plant consists of an up-flow fluidised reactor for the leaching process, which has been developed and optimised to produce the ideal solid-liquid interaction for maximised gold leaching reaction kinetics without mechanical agitation. Consep’s skilled engineers have developed effective Electrowinning and Cyanide Destruction modules to integrate perfectly with Consep Acacia installations. The modules are, of course available in a wide range of sizes. We develop specific solutions for our customer needs, including heavy metal treatment modules to safely remove hazardous, cyanide soluble, heavy metal contaminants from the leach solution. The Consep Acacia's unique design and process chemistry provides maximum availability, recovery and process flexibility for the life of a project. See below some of the key features the Consep Acacia can offer, as well as recent case studies highlighting the advantages of the Acacia system. Alternatively feel free to contact our team to see how we can assist with your project. Consep’s goal is to provide our clients with a product that provides safe, stable, maximised recovery without need for constant management and operator involvement. The Consep Acacia leach technology maximises leach rates to ensure that irrespective of grade, mineralogy or gold deportment, the system will achieve very high recoveries every day.The Consep Acacia has proven itself in well over one hundred full scale installations around the world, in a wide variety of applications. Our focus has not only been on leach performance. Our team of experienced engineers have developed solutions for electrowinning, detoxication, solution recycling, gold sludge recovery and smelting. From the gravity concentrate right through to the gold bar, our systems are thoughtfully designed by experienced specialist gold engineers to ensure every step produces the best recovery of gold. The Consep Acacia package maximises security by maximising recovery. The gold that is transferred into the Consep Acacia is recovered. 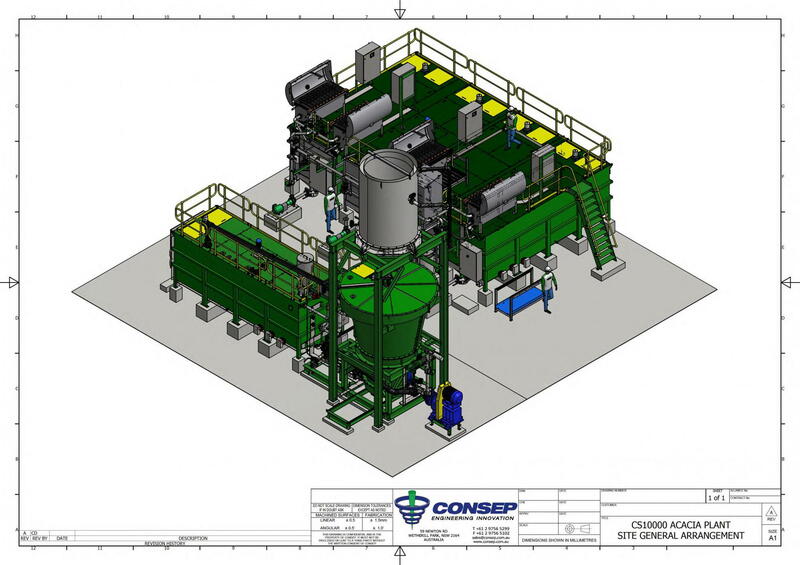 The Consep Acacia has minimal moving parts and no routine maintenance activities such as greasing, thereby minimising the number of people who would need to have access to the Gravity Leaching Plant. Through the use of fully automated sequences, even operators do not need to have regular access to the process. The robust nature of our technology ensures that very few people ever need access to the Consep Acacia, hence providing the greatest security opportunity. Importantly, the Consep Acacia allows sites to have accurate daily metallurgical accounting of their gravity gold production, ensuring that every ounce of gold can be accounted for. The use of intensive leaching systems within confined areas such as a gold room or refinery area dictates that above all else, the Consep Acacia must provide our clients with a safe working environment. The best way to maximise safety is to minimise the need for human interaction by providing a system that has very high gold recoveries, stable and proven automation, and very low maintenance requirements. The Consep Acacia achieves these goals. Our system has no moving parts, and has sealed tanks allowing safe installation indoors. The Consep Acacia is able to safely wash any residual cyanide from the tailings ensuring that operators and maintenance staff in the milling area are not exposed to cyanide risks. Our unique leach chemistry avoids the risk of arensopyrite leaching, forever eliminating arsenic exposure issues from gold rooms and refineries. Union Reefs Mine Site, which was originally owned by Acacia Resources, is where the Consep Acacia story begins. As it was the first ever installation, it also ended up one of the most carefully studied sites. This paper covers the development of the core leaching technology, and then presents in detail the impacts the adoption of the Consep Acacia had on the Union Reef’s Plant. While the technology has been upgraded and developed over the past 15 years since this first installation, this paper still provides relevant insight into the reasons to install Gravity Leaching, and what it could mean for your plant. Please click here to download ‘Gravity Leaching with the Consep Acacia - Results from Union Reefs Gold Mine’. The team at St Barbara Marvel Loch achieved a wide array of improvements in their plant via the hugely successful installation of the Consep Acacia. The technical paper ‘Recent Improvements to the Gravity Gold Circuit at Marvel Loch’ provides a unique insight into the test work, decision making, installation and commissioning processes, and overall impacts on their plant. Few technical papers covers all of these aspects, and Marvel Loch represents the only fully independent head to head investigation of available gravity leaching systems. Please click here to download ‘Recent Improvements to the Gravity Gold Circuit at Marvel Loch’. The Nampan Gold Plant, in the Bolikhamsai province of Lao, is an ambitious project that is Lao owned, managed and designed. It is also the worlds largest gravity only plant with a throughput of 28Mtpa. The project represents the worlds largest installation of Consep Acacia’s. 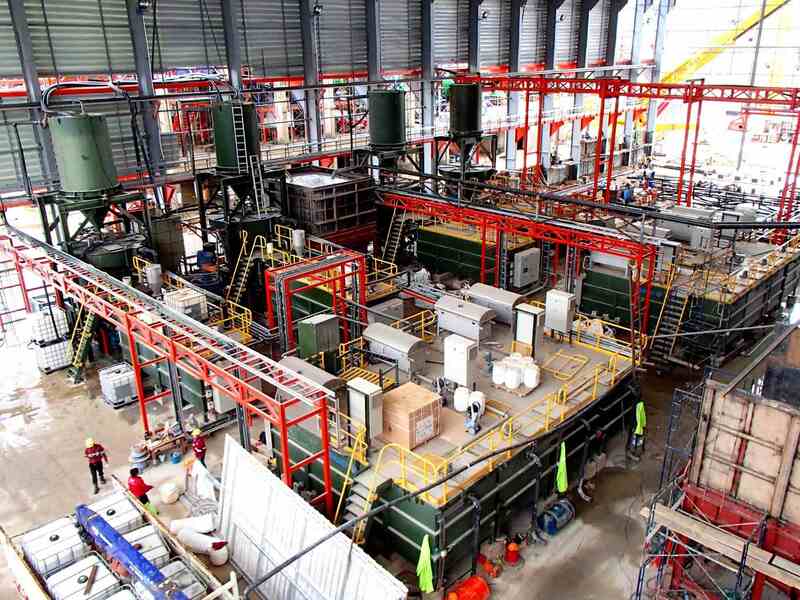 In total the plant has purchased six (6) complete flow sheet CS10000 Consep Acacia’s, which include the full array of Consep technology from solution recycle and detoxification, through to electrowinning and cathode management systems. The Nampan Project represents a new generation of gold projects that minimise environmental impact via maximising gravity recovery and minimise the use and environmental discharge of cyanide. It is a project that Consep is proud to be associated with.